An advertisement for the first world women wrestling championship in Lagos, Nigeria. A publicity photo for wrestler Ramona Isbell billed her as a "shapely star." A newspaper clip bills Ramona Isbell as a possible future world champion (left). Ramona Isbell stands in a promotional photo (right). A Nigerian newspaper promoted Ramona Isbell's appearance in the world women's wrestling championship. Though she experienced discrimination along the way, Columbus resident Ramona Isbell now laughs about her experiences. 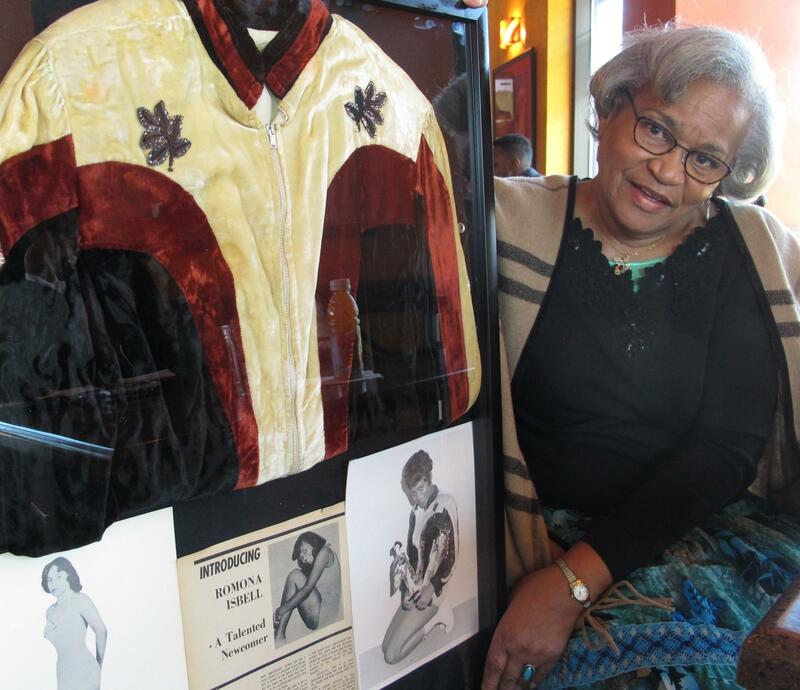 In the early 1960s, Isbell was one of several black women who wrestled in Ohio and around the world. A new documentary, “Lady Wrestler: The Amazing, Untold Story of African-American Women in the Ring," highlights the experiences of Isbell and her contemporaries in the sport, starting in the 1950’s. Now 78, Isbell began wrestling in her early 20s after signing up with a promoter. “I would sneak and train with Billy Wolfe (promoter)," Isbell says. "My mother didn’t even know I was training." Some of her matches happened in downtown Columbus at old Memorial Hall on East Broad Street, in the former headquarters for the Franklin County Board of Elections. Isbell says fans in Columbus welcomed the black women wrestlers. But traveling to matches in segregated southern states brought many challenges. “Especially Savannah, Georgia, it was rough down there. And some parts of Florida," Isbell says. "And if we were hungry, whoever you rode with would have to go in and bring your food out to you." Columbus resident Ramona Isbell was a professional wrestler in the 1960s and 70s. She stands beside a framed collage of mementos, including publicity photos and a jacket. Isbell competed across the country and in Japan, Nigeria and Australia. “We trained just like the men trained, like when you go to a gym, you have to train in the gym," Isbell says. "You have to learn to take your falls. You have to build yourself up. It’s just like a real sports thing." Isbell says she suffered some injuries during her matches, including a broken ankle. After her marriage fell apart, Isbell became a single mom of four. She says that professional wrestling provided enough money for her to support her family, most of the time. “It was fun," she says. "You got to travel, and most of the time, the money was good." Isbell retired from wrestling in 1981. "Lady Wrestler" debuts Thursday, March 29, at Ohio State’s Wexner Center for the Arts. The movie’s filmmaker, Chris Bournea, plans to screen the documentary in other cities and then release the film on Amazon. Multi-colored disco lights and loud music all add to the bombastic atmosphere of New Ohio Wrestling’s latest showdown. From an indoor sports complex in Grove City, NOW may not have the production values of professional wrestling in arenas or on television, but it does draw a crowd. When a wrester has accomplished everything before the age of 20, what keeps them motivated? Every Monday night, TV gives itself over to a mass of preening, posturing men, indulging in petty backbiting. Some are decked out in elaborate costumes, most are presenting idealized versions of the human form, and all are angling for a shot at a singular, prized accessory. Also, RuPaul's Drag Race is on. In Mexican lucha libre — professional wrestling known for its masked fighters and cartoonish style — the bad guys rule. They're known simply as rudos. "Mexican lucha libre is for rudos. 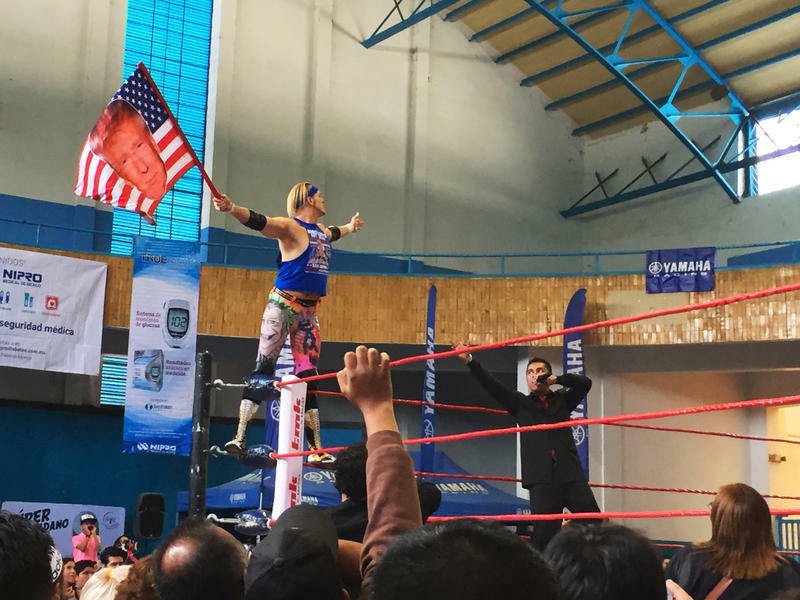 We welcome any rudo who wants to come in here and be badder than the others," says Marco Espinosa, a fan, from beneath his souvenir lucha libre mask.